We are Clare & Paul, we run our own family home farm in harmony with the land and (as much as possible) in accordance with permaculture and earth loving biodynamic principles. We have a variety of delicious 100% spray free vegetables growing which we take to market on the weekend, we have happy chickens out on pasture living in busses, sheep roaming around, a lovely rose garden and a fruitful orchard with a large variety of apples, citrus, figs, plums, nectarines and more..
We are right on the Western Port Bay so very close to the beach, nature reserves, Phillip Island & the fairy penguins, 5 minutes from Koo Wee Rup and Tooradin town centers, and about 15-20 minutes from more major shopping towns of Cranbourne and Pakenham. 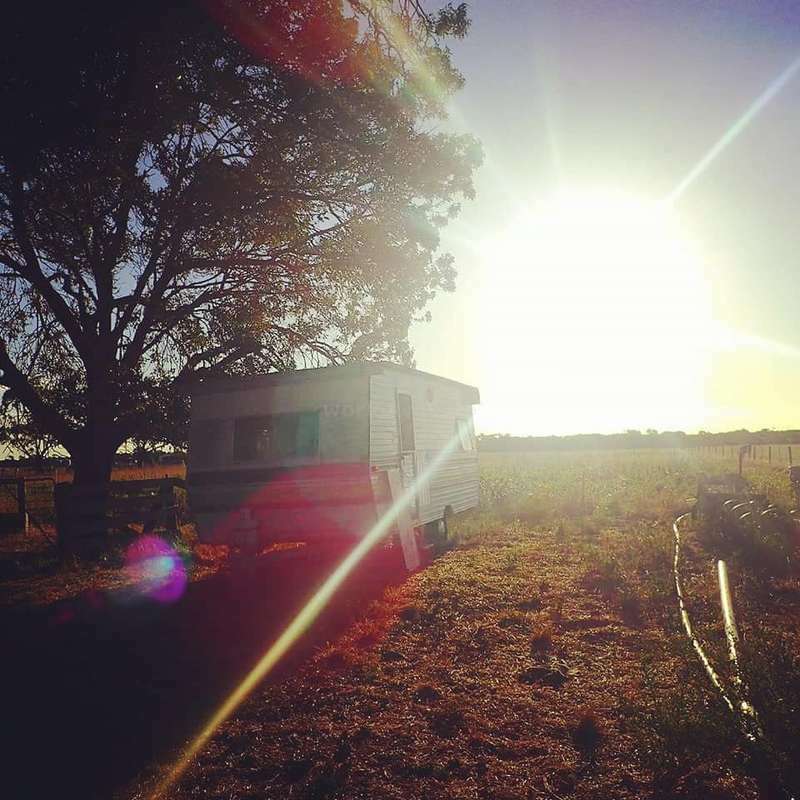 On the end of a quiet dirt road our 60 acre property is home to us and our spirited and adorable 1 year old baby Matilda, 15 sheep, our happy pasture fed chooks, our beloved bengal tabby cat Maximus, a very very cheeky and loveable kelpie pup, Bella. We're looking for people to come and help out around the farm and exchange knowledge of growing food, cooking and eating the food we grow, sustainability and living simply on the land. We really appreciate people who are keen to get up with us and the birds, get their hands dirty and lend a hand with the big picture of what we're creating out here.. Ethical, sustainable food grown with love and in harmony with the earth and becoming a part of our big happy family in the process! 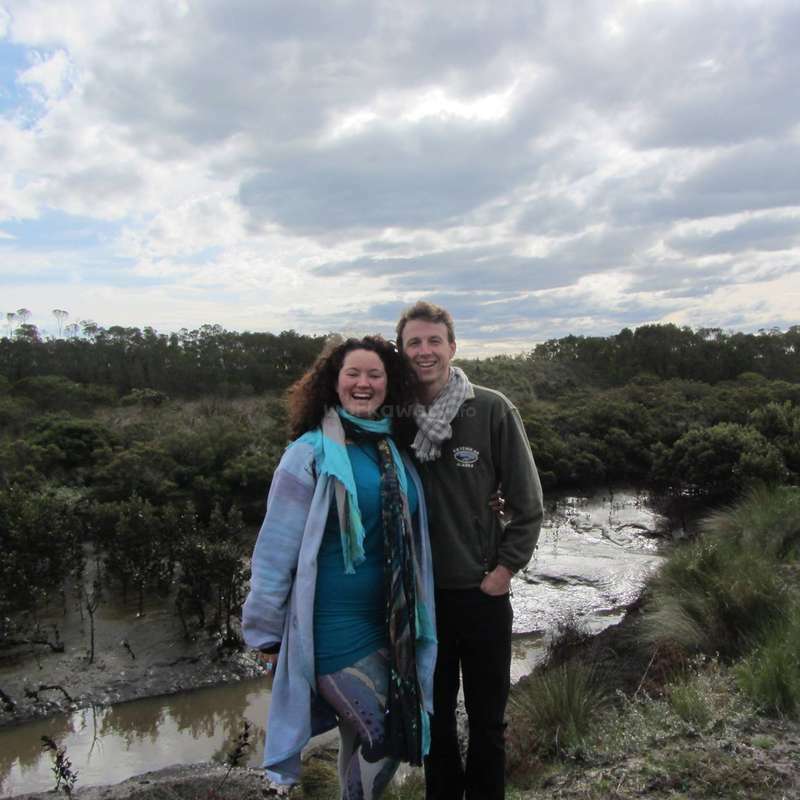 We both LOVE to travel the world and feel very excited to have world travellers helping on our land & homestead now that we have a slice of paradise to share. Between us we have a lot of skills and knowledge in many areas other than farming having spent a lot of time in India, Central & South America, Asia and Europe travelling, working and studying cultures, yoga, art, martial arts, spirituality, music and more..
We really enjoy sharing healthy, home grown, vibrant meals, cooking skills, music and conversation. Clare also runs retreats on the land and courses in Melbourne focussing on spiritual development, singing, sacred women's business and more.. though she's much more focussed on being a mum to Matilda right now! We need a bit of help each day with various tasks - they differ from day to day. Oh and we'd also love to build a labyrinth & teepee in the Field of Dreams later this year! We definitely recommend our workaways have a good level of physical health & fitness before coming to the farm as the work can sometimes be physically demanding some days more than others. If this is a problem, please let us know right away so we can be sure to arrange less physical tasks for you to enjoy. Other than that we love help sharing the cooking of the main meals of the day & keeping the homestead & the big farm shed clean and garden tidy. Private caravan with bedding for two individuals or a couple (one double bed one single bed) with bedding. We also have a tent available for those who prefer privacy and sleeping on a mattress on the earth. The main Bathroom is currently shared with Paul, Clare & Matilda so care during sleep times is requested & appreciated & help in keeping the place tidy is necessary. Plenty of fresh veggies & eggs on offer to eat each day too of course that you can pick yourself! Lunch & Dinner are shared meals cooked communally from food we grow ourselves and breakfast is 'help yourself' to museli, eggs, toast, fruit etc. :) Please BYO special ingredients and things you need for yourself or we can take you to the supermarket if you need. 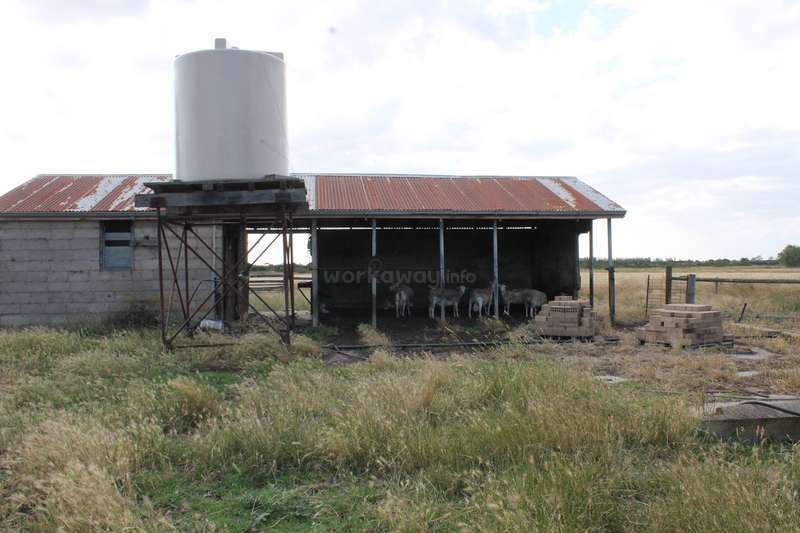 There is a laundromat in Koo Wee Rup for washing your clothes as we are on limited tank water due to drought but handwashing is also available in the homestead. We are in a great location only 1 hour bus trip from Melbourne - bus leaves from Southern Cross directly to Koo Wee Rup. There is a lot to see and do in the local area and further afield too. Koo Wee Rup and Tooradin have many lovely cafes & second hand shops to enjoy an afternoon off or relax away a morning. 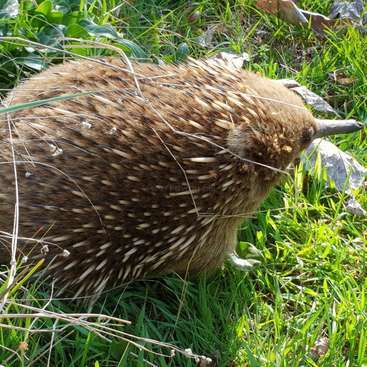 20 Minutes away is the Pearcedale Moonlit Sanctuary to experience native Australian wildlife & little further than that is the Mornington Penninsula with Hot Springs & beautiful beaches. Local beaches are only a short 20 - 30 minute drive and on lovely days we offer workaways to come with us to enjoy the sunshine and rest by the ocean. Melbourne is a thriving metropolis & a bus departs from Koo Wee Rup central & will take you to Cranbourne & Pakenham train stations which will then take you to Melbourne City. Or there is a direct bus from Melbourne to Koo Wee Rup that runs many times a day from Southern Cross Station! This is the best way to get to our farm - we will pick you up from the bus stop. If you have your own car/van then you can easily get yourself to the city or perhaps take yourself to see the wild life at Wilsons Prom, fairy Penguins at Phillip Island, the beaches and Hot Springs along the Mornington Peninsula, amazing beaches, gourmet food, transformational workshops, concerts, diverse culture & nightlife the 'Garden State' of Victoria has to offer! We stayed two weeks with Paul, Clare and Matilda and since the first day we've been part of the farm experience. No routine here, You will never get bored, there is always many things to do and always different (market on weekends and daily task at the farm). We also had the opportunity to build two tables to improve the common area and fix the… read more gutterings of the shed. We learned so much from Paul who has been really inspiring for our farm project at home but also from all the other people that we met and we work with. It's a beautiful work team that spreads amazing values and spirit. Thanks a lot for everything and we wish you all the best, you deserve it ! Marion! What can I say about Marion that can sum up her awesomeness and incredible energy in a short 'review'?? From the moment she landed on our farm she was super dedicated to our project and our family and we were so very lucky to have her to stay with us even if it was for only a couple of weeks. She helped us completely gut a bus for our… read more chickens and met every challenge, obstacle and task head on and with so much generosity of spirit & energy! We absolutely LOVE Marion and welcome her back with open arms. Truly one of the absolute very best workaways we have had on our farm and we are so grateful to workaway for bringing her into our lives. Thanks a million for everything, you definitely made my stay in Australia memorable! Thank you for the great and honest feedback! Yes, you're right! Farm life isn't always easy is it?! Very physical work, some days very early mornings & some days late evenings. Goodness me! We really enjoyed your effort and energy and your cooking!! We hope you find what you're looking for out on the open road and many adventures… read more that will nourish and satisfy your creative spirit! When I read feedback on workaway, I have to say I am always surprised. Because it's rather always 100% positive. I mean, I have been to Disneyland and it was not 100% positive. I believe it gives a biased impression to the potential volunteer who might be disappointed facing the reality. Therefore I will try to be more objective and balanced… read more with my own experience. Hope whoever read this can find it valuable! Sooo I spent about 2 weeks in the farm and I have to say now it's over it felt like time has flies. The farming life has its backwards : you have to get up early and -litteraly- get down to earth, it was for me, as a city-boy more use to see "work" associated to "seated to a computer" quite physical. But it's also its perk, because you understand the value of something better when you actually care about it. How satisfying it is to see the plants grow and to have on your plate beautiful and fresh products coming straight from the ground. I love cooking and this was a blessing for me. Also the time shared for lunch and dinner is really quality time, which make you feel as in a family. You will share your tasks with other workers which rather seem like family's friend than employees. I found all of them open-minded, funny and super interesting and it was a real pleasure to discuss with them while working. 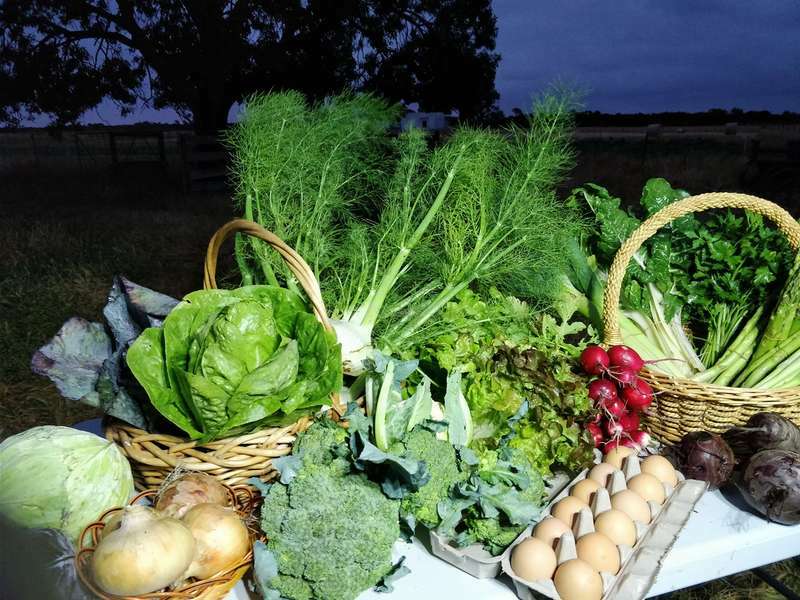 So as a conclusion: if you are interested about growing organical food and experience the farming life, this is probably one of the best place to go in Australia. Because Paul is a endless source of knowledge and his small-scale production enable you try everything and therefore helps to understand the whole process of organic farming. Don't fantasize farming life too much though, it's hard work sometime but it always worth it. Thank you, once again, for having me. I feel lucky I could experience the harmony of nature and the life in your farm. We love you Kitty & miss you already! Thank you for all your amazing hard work, effort, energy and sparkling conversation. I wish we'd spent more time down time together - you are such a great energy to be around! We hope the next steps on your adventure are as wonderful and magical as you are! 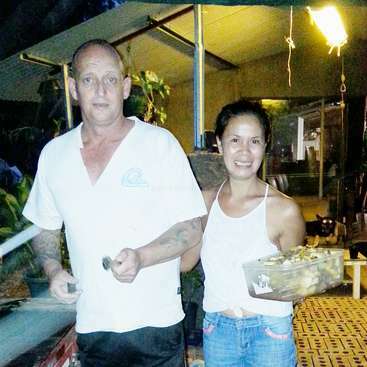 Thank you Minhue for all your hard work and your lovely kind presence on our farm. Paul and Clare are wonderfull people. 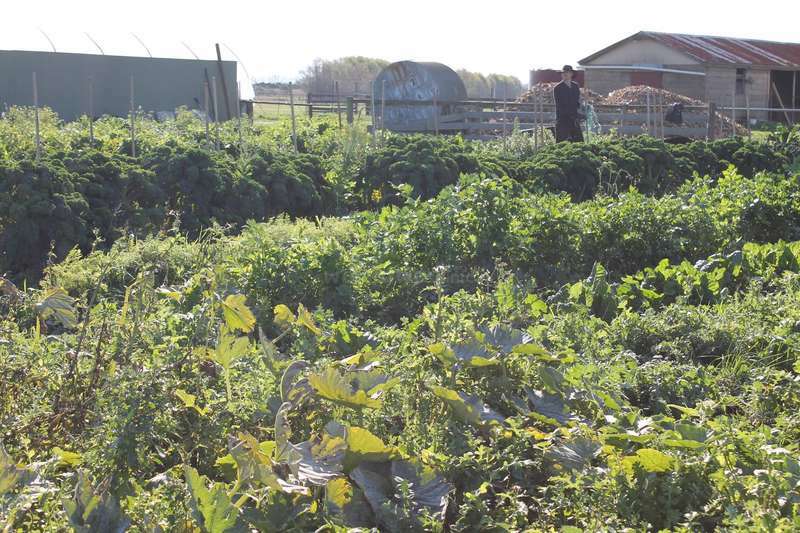 I learned a lot about farming in a sustainable way and Paul's passion for the farm is truly inspiring. Thanks again guys! I stayed on the farm for 2 weeks and wish it could have been longer! It was so great to reconnect with nature and be in a peaceful environment everyday. I Iearnt so much here and loved getting involved in a variety of tasks! Harvest day is the best and getting to work at the markets is a lot of fun. Paul, Clare and the rest of the family are kind,… read more loving people who made me feel very at home. They work so hard and this is their dream! I wish you so much luck for the future! Thanks for everything. I stayed at Clares and Pauls Farm for 2 weeks, but after all i learned there it feels more like a lifetime. It was great to be a part of the magical farm and i even got to sell the delicious vegetables at the farmers markets on the weekends. Paul is so passionated about his farm that was truly inspiring. I am really grateful for everything i… read more learned there and all the lovely people i met. Thanks Clare and Paul, it was an awesome intro to Aussies and Farms and Melbourne! I had a blast and a half staying with Paul, Clare and the rest of the farm family, flora and fauna included, and getting to meet lots of kindred spirits helping make the movement move! 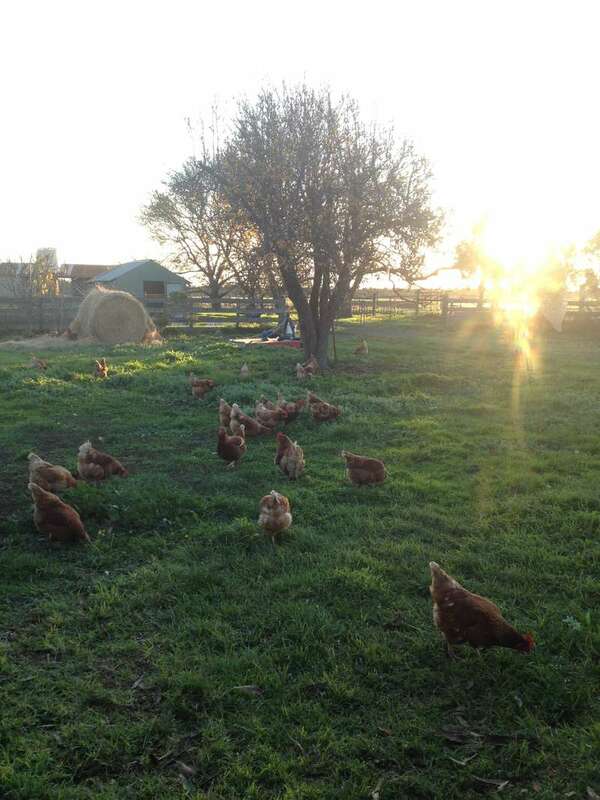 Staying at the farm was a fantastic experience: I feel like I learned a lot, became a stronger farmer, a little bit healthier thanks to delicious veggies and extra… read more nutritious eggs, and got to feel a little slice of Melbourne area’s organic farmers’ community. Paul is a wealth of knowledge eager to share what he knows, philosophize and consider new perspectives, too. 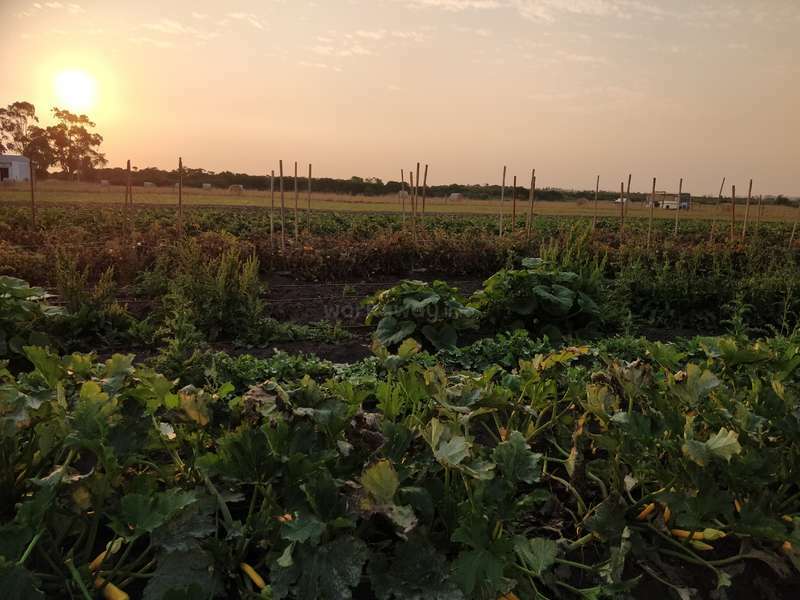 The farm felt peaceful, and all the more relaxing after a full day’s work; the markets were a cool opportunity to see the enthusiasm felt by the community for local food, and I feel like more doors are open than they were before meeting the farm family. I am extremely grateful for the time spent here, and plan to steer my path back towards Clare and Paul in the future. Much love yah’ll! I stayed here almost 2 month. This place became my second home in my life. Paul and Clare are very sweet people. I can't find words to express my appreciation to them. Work was always fun, good atmosphere. I've learned a lot about Oganic farm and also passion/motivation for the life through the way of their work. Thank you for having me and… read more giving a great precious moment. I will never never forget about Australian unique slang, the house chore:) and super delicious taka. I appreciate little Matilda, Clare's family and Duke,as well. What I got from here was much much bigger than I could give to you. I will definitely come back to see you and your beautiful Veges/chickens in the future!! !Best of luck to you all!!! Arigato dear friend! You were so much more than a workaway - you became part of our family and we love you and miss you! Thank you for the almost two months you lived here at our farm. We are so grateful for all your hard work, effort, energy, time and patience. We absolutely LOVED having you here and would welcome you back again and… read more again and again! Bless your heart dear one, we hope your travels and adventures are taking you to the most wonderful enriching places with the most amazing people!! You deserve to be taken care of because you do SO MUCH above and beyond to make the lives of those around you better in every way. We appreciate you! Thank you Keito San. Mark! Oh what a joy it was to have your bright & bubbly energy at our farm! Thank you for bringing your enthusiasm and love of life here and your shakshucka! I made it today and thought of you. We hope your travels and adventures are bringing you happiness! Hello Paul & Clare it was a one in a life time experience in matter of meeting kind people learning about vegetable growing chicken carrying , selling in markets in the other hand it can be also very adventures in their location . 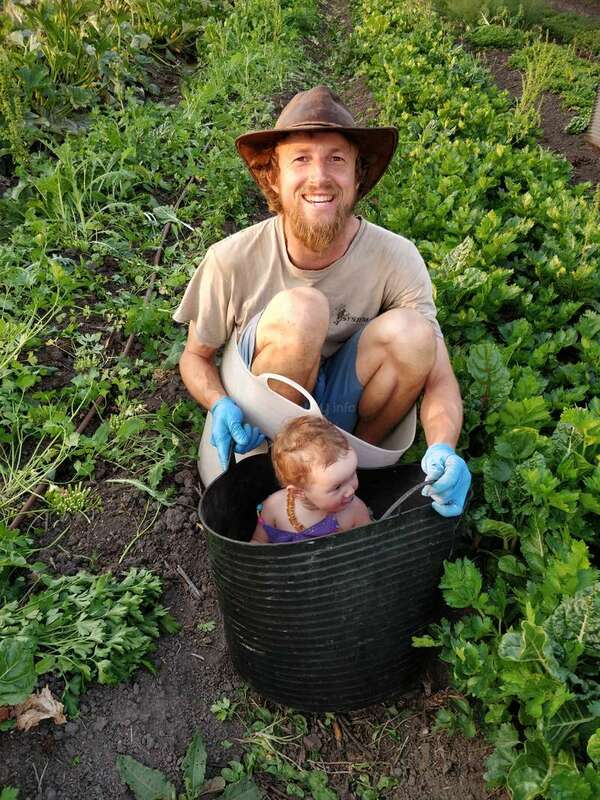 Thank you Paul, Clare and Matilda for your kindness and teachings <3 Clare and Paul were very welcoming and helpful, teaching me so much about organic/ permaculture farming. I helped with every part of the growing and harvesting processes, and got to eat an abundance of lovely veggies. Also, a highlight was selling the food at weekly markets and… read more spending time outside, especially when it was sunny and beautiful out. Some days I worked on my own, and other times there was one other worker helping me. I got assigned tasks for the day and then could work at my own pace. There's lots do to, but if you're passionate about organic farming and learning about growing your own food then the time will fly by. They also have a wonderful cat (Max) and dog (Bella) and lots and lots of chickens :) This family has done an incredible amount of work starting the farm, and I was happy to be part of it for two weeks and having many wonderful conversations. Thank you and all the best! I really enjoyed my time I stayed at this beautiful farm. 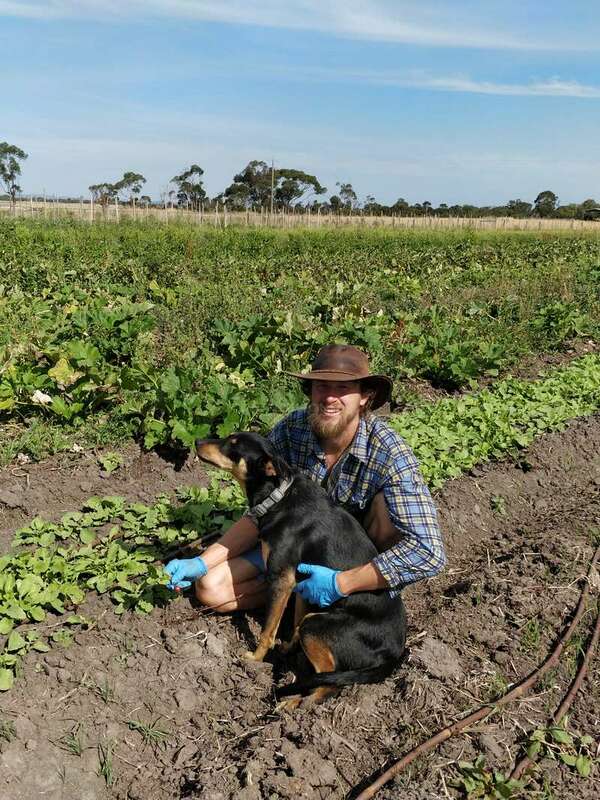 I loved being in the field around the nice veggies, around the happy chickens, around the dog Bella and the cat max and for sure with Clare, Paul and their smallest Matilda. I really respect how hard the family works for living their dream and I enjoyed being as supportive as possible. The… read more farm work makes you quickly being a farmer yourself, you get used to the tasks really soon, you learn about all the tasks from seeding to selling at the markets. Thanks for this experience! All the best for your farm and family! We have been so blessed to have such a variety of wonderful help at our farm thanks to workaway!! The most recent addition to our farm was an all… read more round superstar from Brazil, Leticia ~ who became a part of our family and will be missed enormously!! We love you Leticia! Nothing was too hard or too much for you and we so very much appreciate your help in every way, at home and on the farm!! We were truly so lucky and blessed to have Leticia stay with us for almost three weeks - we were happy to have her stay for a month or more but she had to go home to Brazil.. We also spent time together away from the farm, dancing, going to op shops & singing around the fire.. it was wonderful! May all your dreams come true and blessings on your journey home! I was expecting to have a different experience and I am very grateful that this was much more! I found myself as part of a special family with lots of patience and care. An amazing family,Paul, Clare and Matilda + cat Max and full of love dog, Bella. All the thanks will not be enough! 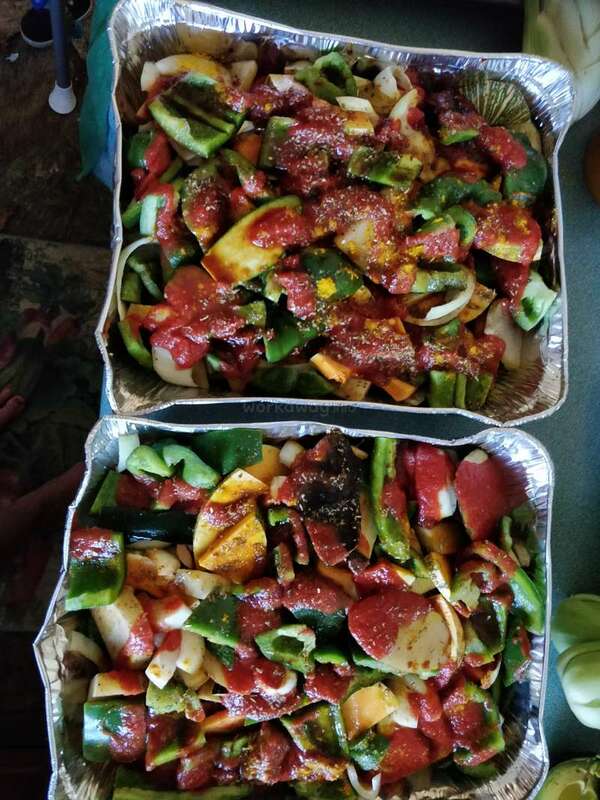 Thanks for all the talkings, the delicious meals with the fresh… read more veggies, the Matilda's smiles, the love from Bella and Max, the songs, the dances, the OMings, the markets and, why not? The hard work !! 😁 The things that I would never imagine to do it (that was the idea! :D ) Many thanks for sharing all your knowledge and passion not just about farming but also about life, travel, good thoughts and energies! You were really patient with me, you teached me a lot, explained me several times with smile when I didn't understand the language and welcome me like if I was from family... live in the farm and work there was really peacefull and great, the work interesting, the food just AMAZING… read more ! Nadja was a sensational help at our farm! She was up with the birds and was an incredible support at the markets, at the farm and in our home. She shared so much of her knowledge and experience with us and we were so grateful to have her enthusiasm and warmth at our place. We HIGHLY recommend Nadja to any prospective farms :) Thanks Nadja! Michelle was a wonderful addition to our home and our farm while we were lucky enough to have her stay with us! I had a marvellous time at Clare & Paul's farm. I spent a few weeks there and helped out with a number of jobs including planting & harvesting veg (mostly broccoli- my new spirit vegetable), egg collecting (and washing! 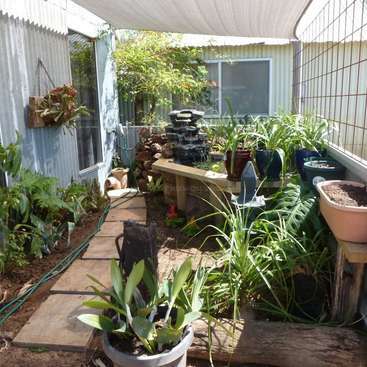 ), as well as aiding in the construction of a cool room and fence. The days are very chilled and you can work at your own pace. I… read more was new to farming and Paul was very patient with me, he takes time to help explain the whole organic farming process which is very interesting. I also got to attend and help at a couple of markets, you get a real sense of community and passion for local produce at these markets. The highlight would have to be spending time with Bella the dog, she's delightful and full of energy! Clare & Paul are very generous and kind, I wish them all the best for their ambitious project. My stay at the Farm has been more than a simple workaway exchange. We've been learning from each others. We became friends. I stayed at Clare's and Paul's place for 3 weeks. After few days of adaptation I started to really enjoy my time. During the week I worked on my own and then could go the rhythm I wanted, put some music on... The help was not… read more too difficult : washing eggs, collecting the eggs of the cheeky chickens, weeding, preparing beds, planting... Harvesting and preparing the vegies one or two evenings per week for the markets. I loved to come with them at the market, help them set up the stall and then have a look around, chat with the different farmers and producers and visit the cute country towns. The house is comfortable. We can make a fire in the stove at night. We cooked yummy (delicious!) meals with the goodies of the farm. We had good chats regarding farming and how building its own personal projects (reach your dreams?) for example. Getting friend with Bella the dog was also an adventure! <3 The landscape in Koo Wee Rup is very flat (former swamps turned into fields), which allowed us to have a gorgeous sunset every single evening (well, almost! :D). There is a nice walk to do along the creek at the back of their land. I wrote a lot but certainly didn't say it all. Thank you Paul and Clare for letting me stay.